Earlier this month, we short-sightedly declared the lunatic, surprisingly malleable “Steamed Hams” as having “reached its zenith” when human meme Jeff Goldblum played Principal Skinner in the now-classic “22 Short Films About Springfield” scene. Ah, but that is not for us to declare; the shadowy, online cabal of comedic anarchists slowly working to deconstruct everything you’ve come to love control this narrative, and Simpsons writer Josh Weinstein may have just given them some more digital ammo. 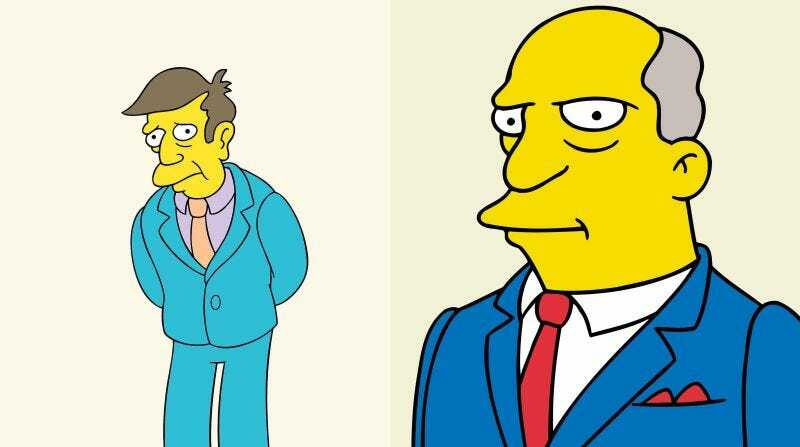 He’s not kidding about it not being as funny as the original, and it’s not as seismic a revelation as that time writer Bill Oakley shared the scene’s first draft, but, look, it’s more “Steamed Hams,” and this is the internet, so people are pretty happy. Somewhere, someone is hunched over a keyboard, piecing together scraps of scattered Chalmers’ dialogue to insert the line into yet another iteration of the meme. Well, we hope so, at least.